You will need to log on with your University username and password. You can also link through to Cardiff University journal holdings from the reference lists in each UpToDate article. In addition you can register for UpToDate Anywhere which offers access on up to two mobile devices. Create a unique user name and password on the UpToDate Anywhere registration page: IMPORTANT: You will use this username and password to access UpToDate from your mobile devices. To note: the automatic linking to Cardiff University journals from UpToDate does not work using the mobile app. This entry was posted in Electronic Resources and tagged UptoDate on August 28, 2015 by Lindsay Roberts. Download the app via the Apple App Store, Google Play Store or Amazon Kindle App Store, enter your Cardiff University username and password and you can easily browse journals that Cardiff University subscribe to in mobile format. You can also create a personal bookshelf of your favourite journals, bookmark or save articles to read later, export the reference to Mendeley, Zotero, RefWorks and Endnote (iOS & android) and also opt to be alerted when new issues of a journal are available. 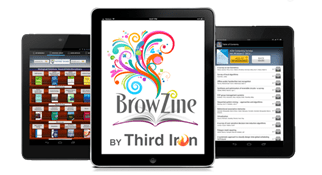 This entry was posted in Electronic Resources and tagged browzine on August 3, 2015 by Lindsay Roberts. The Health Library will be closed on Sunday 19th July between 8am – 4pm. This is for the annual clean and sanitation for the control of legionella bacteria of the water tank and pipe systems that serve the building. We apologise in advance for any disruption and Julian Hodge Study Centre IT rooms will be open during this time. This entry was posted in opening hours on July 7, 2015 by Lindsay Roberts. 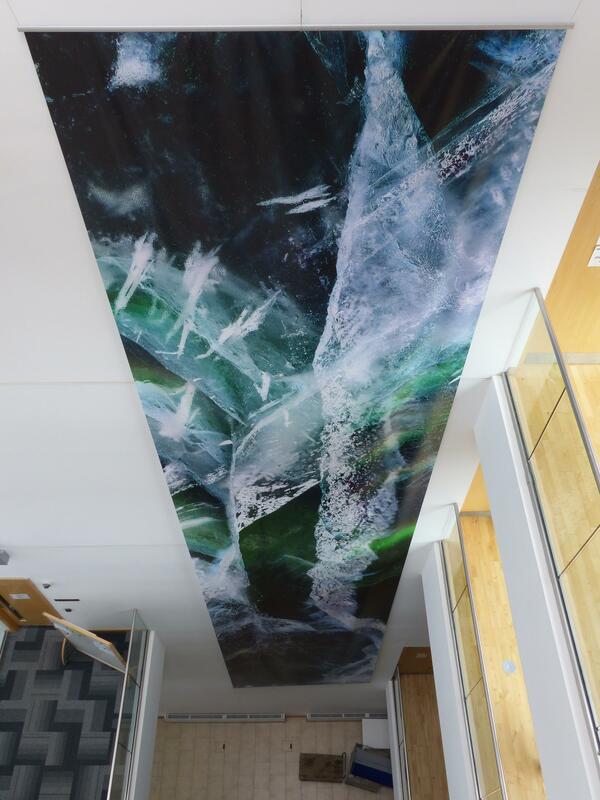 Next time you are in the Cochrane building take a moment to look at the new artwork that has been installed in the atrium. The donation for the artwork came from Professor Simon Smail, former Dean of the School of Postgraduate Medical & Dental Education. The design for the artwork came from Professor Richard Weston, formerly in the School of Architecture. This entry was posted in Uncategorized on June 25, 2015 by Lindsay Roberts. Health Library – make up or break up? If you need a quick break from exam revision or have perhaps already come to the end of term, we need your help! We’d like you to write either a love letter to your library service, or a break up letter about the aspects that frustrate or annoy you. Imagine the service is a person and explain to them exactly how they make you feel! Has your relationship blossomed or is it now on the rocks? Is there something you’ve been meaning to get off your chest? Complete your letter now using the online link below. Your joy and pain will help to make a difference! This entry was posted in Uncategorized on June 1, 2015 by Lindsay Roberts. We have many books in the Library and online to help get your head around statistics, just search http://librarysearch.cf.ac.uk for medical statistics. Its an online course on statistics made up of 10min videos with PDF student guides to support them. You can work through the whole course or just dip in and out of the bits you need e.g. Normal Calculations, Confidence Intervals. Navigate through the Prezi and click on the links to bits you need more help with to open up an online tutorial. A trial to all of the Karger journals that Cardiff University don’t currently subscribe too has been set up and will run until September. This entry was posted in Electronic Resources, trials on May 26, 2015 by Lindsay Roberts. Please be advised of the following confirmed outage. Wireless will be unavailable for the entire day on Sat 11th April. To improve the wireless service and resolve a known error. This entry was posted in Uncategorized on April 9, 2015 by Lindsay Roberts. Blackwells Bookshop will be having a stall in the Social Learning Zone of the Health Library, Cochrane building on Tuesday 20th January. They will have books to sell and also information on their ebooks. We’ll update later in the week on the specific titles and promotions they will be offering but if there is a specific book you have been planning to buy to help with your study or work please email us – healthlibrary@cardiff.ac.uk and we can let Blackwells know so they can have the book here for you. This entry was posted in Books on January 14, 2015 by Lindsay Roberts.